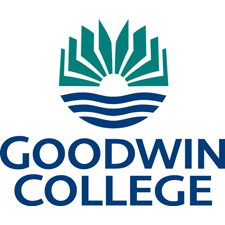 Goodwin College is a non-profit, career-focused college, accredited by the New England Association of Schools and Colleges. Goodwin's mission is to educate a diverse student population in a dynamic environment that aligns education, commerce, and community. Goodwin students are helpers, healers, and heroes. They are single parents working to make a better life for their children; ambitious students brave enough to be the first in their families to enroll in college; students who walk in our door knowing that a college education can turn their lives around. We are proud to serve them all.